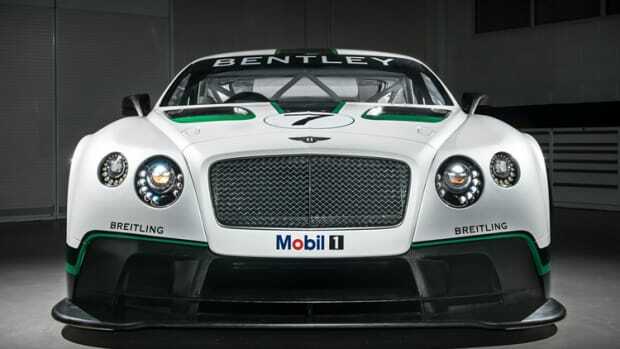 Coming off their huge win in Silverstone, Bentley announces a street-legal version of their GT3 racer with the fastest accelerating Bentley ever produced, the GT3-R. 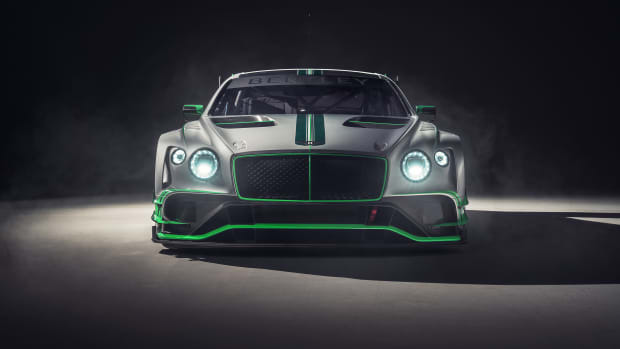 The Continental might be a big GT, but the engineers have retuned the car&apos;s 4.0L V8 and have accomplished a 3.6 second 0-60 time, which is one hell of an engineering feat for such a large coupe. The GT3-R can produce 572 hp and can reach a top speed of 170 mph. 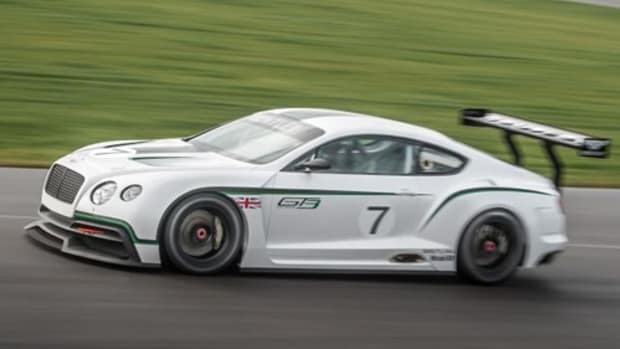 Also contributing to the car&apos;s performance is a loss in overall weight as the car is 100 kg lighter than their stock GT V8S. 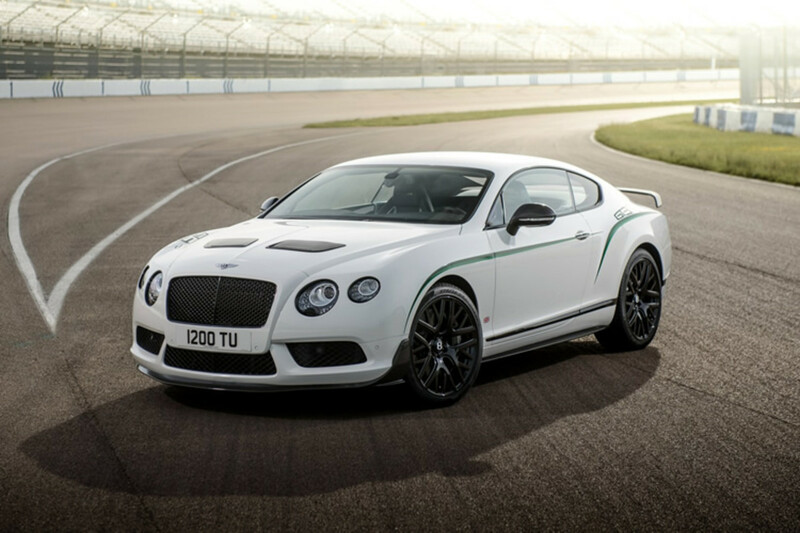 All the cars will be painted in a gloss white finish with green accents and will be limited to 300 examples worldwide. The super coupe puts on its racing suit.